Here’s How YOU Are Getting Sucked In By Sanders Socialism! As I watched the Bernie Sanders NH victory speech, I thought, if there was ever a better motivator to get engaged and involved in a presidential campaign, it’s this! As I grew up, I was taught the of the serious and desperate disasters of socialism. Subsequent generations were not, and now we have a huge segment of the population, who are clueless as to the realities of a socialistic state. Please watch this, and read this post from BOOKWORM, and reeducate your self, and hopefully others as to the catastrophe upon which we will enter if we don’t what the Hell up! The former Soviet Union wasn’t much better back in the day than North Korea is now. In its heyday, the Soviet politburo controlled every aspect of people’s lives. 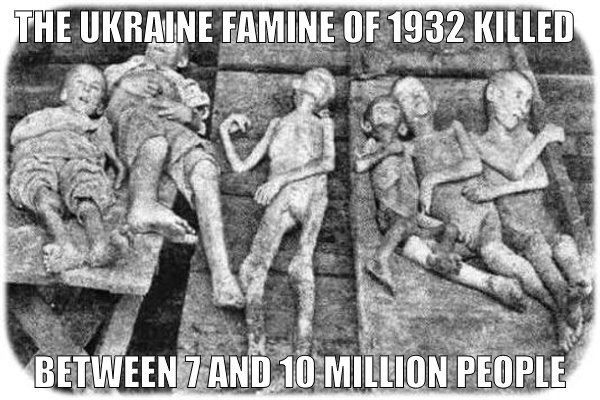 During the 1930s, when Stalin headed the nation, he decided that the Kulaks in Ukraine, who were small farmerswith privately owned farms, had to be destroyed to make way for large collective farms run under government control. The minimum wage isn’t anything to boast about either. Even the New York Times, before it slipped its moorings, understood that the minimum wage is a way to keep unskilled labor out of the job marketentirely. Rather than paying people a living wage, it means that more people are paid no wage at all, putting further strain on social welfare systems that are barely in funds now.